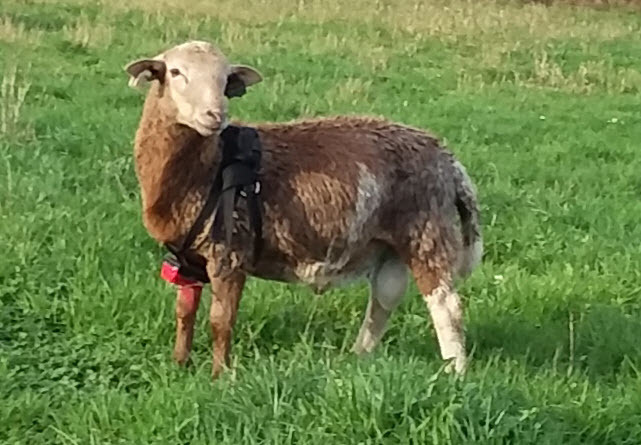 I kept this ram back as a replacement for his sire because he keeps his strong growth scores but improves greatly on prolificacy and milk. He’s still a little low on survival, but has a lot of potential in all the other EBVs. Photo taken November 2018 heading into breeding season. He’s a very nondescript-looking ram, and a little shaggy and muddy in winter, but his EBVs are quite good! You can see in the photo his scrotal circumstance is significant compared to his frame size, which gives him a boost in prolificacy scores.